L'Eau Bleu d'Issey Eau Fraiche by Issey Miyake is a Floral Woody Musk fragrance for men. 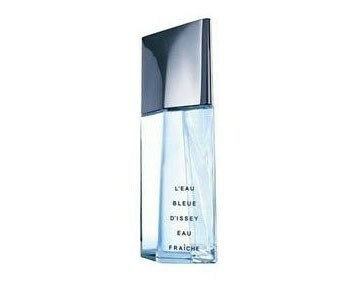 L'Eau Bleu d'Issey Eau Fraiche was launched in 2006. Top notes are rosemary, bergamot and mint; base notes are musk and patchouli. It is recommended for daytime wear.